PRICE REDUCED!! - MOTIVATED SELLER NEEDS A QUALIFIED OFFER! 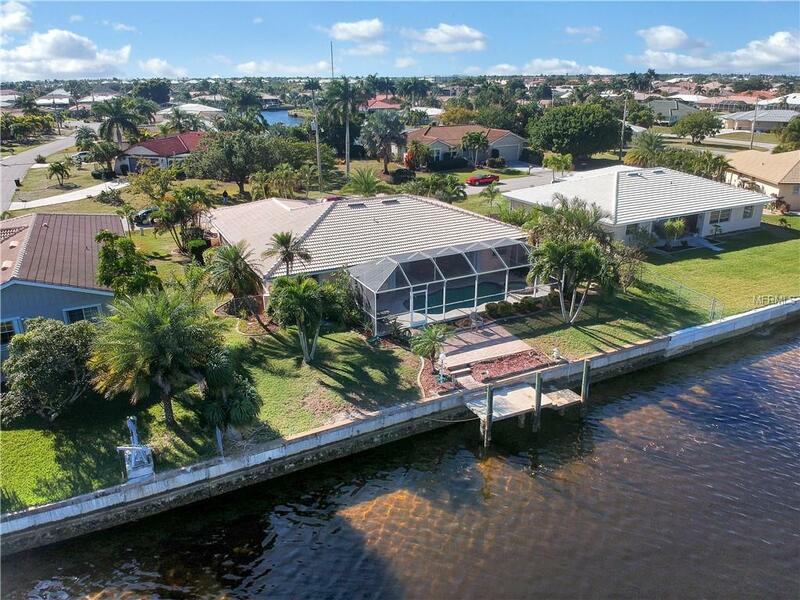 Here is your opportunity to SAVE and own an impressive waterfront canal home in Punta Gorda Isles. Tropical landscaping, tiled roof and paver driveway all add to the curb appeal. 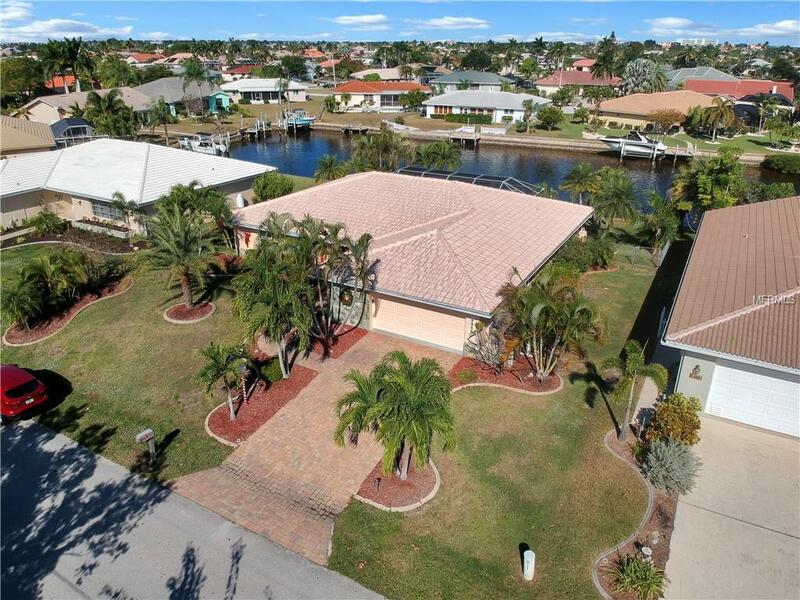 The home features a 95 foot concrete seawall (maintained by the city of Punta Gorda), a wide canal view, a concrete dock with electric and water and public utilities (city water/sewer).This home is over 2000 sq ft with 3 beds / 2 baths / 2 car over-sized garage / with a large screened lanai with a heated pool & spa combo and has the popular split bedroom floor plan. Both the master and guest baths have Talavera sinks. The generous living room sweeps into the dining room which opens onto the lanai. 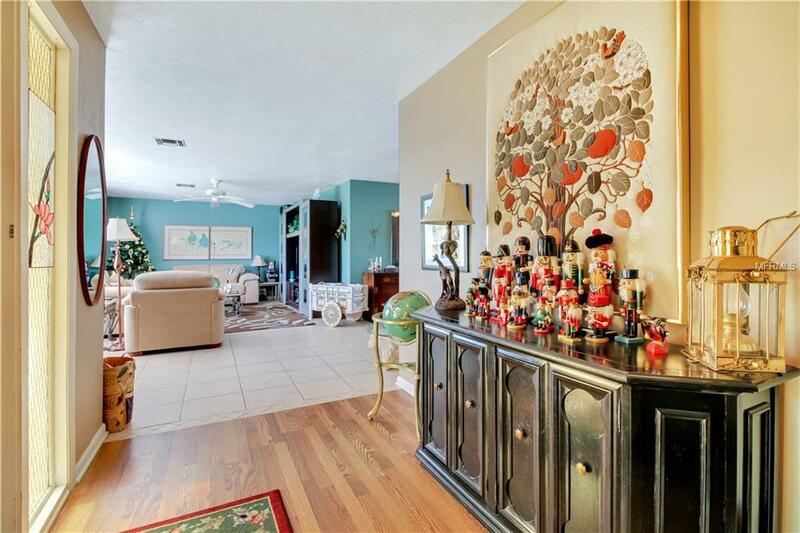 There is a well appointed kitchen, breakfast area and family room. There are sliders to the lanai from the dining room, family room and master bedroom plus a convenient pass-thru from the kitchen to make entertaining easy. The over-sized garage has a side door, pull down attic storage and plenty of room for the workshop and laundry areas. The irrigation system was recently revamped and the back yard is fenced to the seawall.Punta Gorda Isles is a popular boating and golf community just minutes from Fishermen's Village and Punta Gorda's historic downtown area with shopping, dining, waterfront parks, fishing piers, art galleries, events and more! 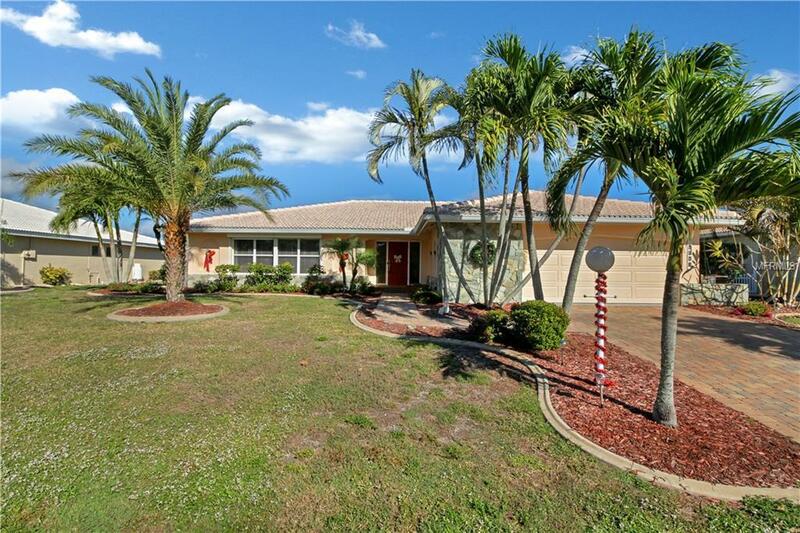 It is convenient to I-75 and all of SWFL gulf beaches plus quick boating access to Charlotte Harbor and the Gulf of Mexico.